Plans by Britain’s incarnation of the Discovery Channel to air a reenactment of the Michael Jackson autopsy have angered Jackson’s fans and family, who have launched a petition campaign urging the cable channel to cancel it. 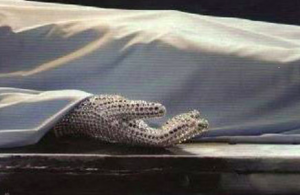 In a letter sent to Discovery chief David Zaslav on Wednesday, John Branca and John McClain, co-executors of the Michael Jackson estate, said that they found particularly offensive a Discovery UK ad for the special showing a corpse covered by a sheet with a hand sticking out wearing a sequined glove. “The ad is debased, sick and insensitive,” the letter said. “No doubt this fictitious, morbid image is being spread worldwide even now on the Internet, viewed by Michael’s loved ones, and even accepted as authentic by those who may be unaware that Discovery made it up.” The program, “Michael Jackson’s Autopsy: What Really Killed Michael Jackson,” is due to be telecast on the British Discovery Channel next month. Discovery reportedly has no plans to show it in the U.S.